The summer floods having put paid to any ideas of spending a lazy summer's day watching the ball speed towards the boundary rope the next best entertainment on offer was an interlude at the County's largest railway station. On first sight not a lot appeared to have altered in the 40 or so years since this was regular entertainment during the long summer holidays, but as one gets older one's needs change and beneath the surface things are not what they ought to be. The whole place gives the impression of being run for the benefit of railwaymen not passengers. 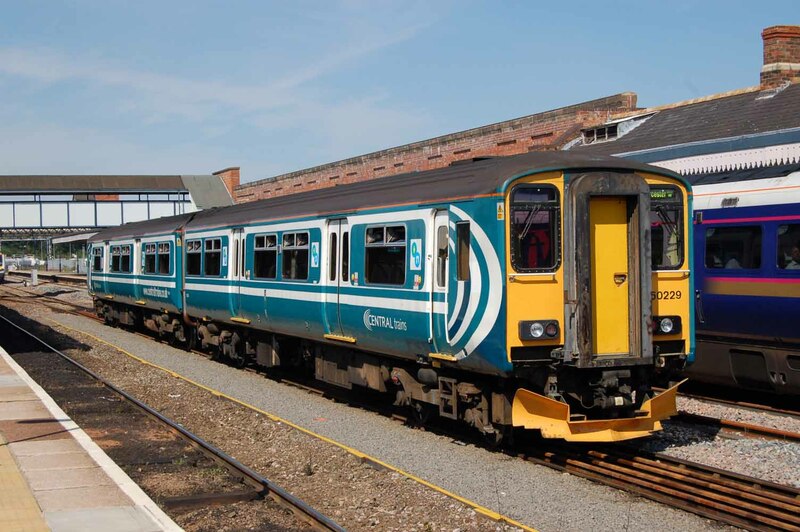 Whilst there are no facilities for passengers on Platform 2 most of those on Platform 1 are used for operational purposes and little is leftover for the passengers who do seem to take second place. Don't try using the poor quality toilets after 9pm (since renovated!) as closed! At least the 'Cafe loco' provided good food. Class 150/2 dmu No.150229 in the very strange and shabby 'ex Anglia Railways' Central Trains livery stabled on the middle road. Operationally the lack of adequate layover tracks must be a nightmare. You can just see in the background No.170398 effectively blocked in by this unit. Yet in the 1960s there used to be two tracks in the centre of the station whereas by this time there was only one. 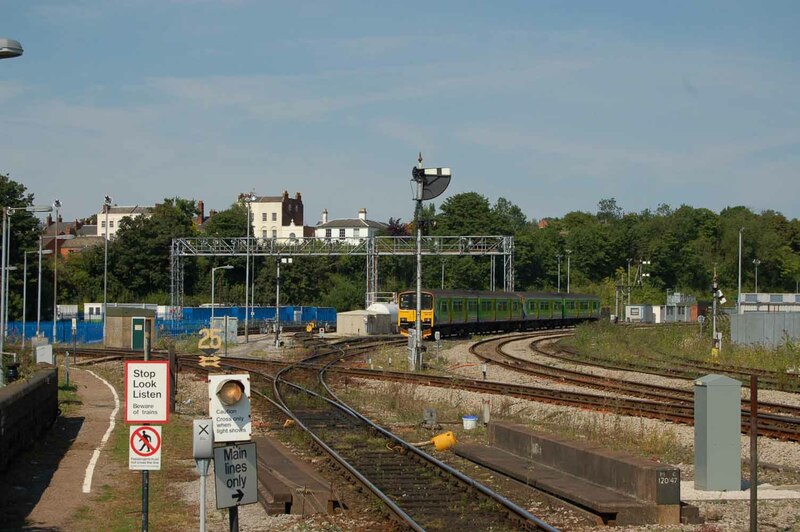 Furthermore with a large number of vacant sidings to the south of the down platform it would surely be better to stable units there between duties. Talking of empty sidings here sitting all alone in splendid isolation for many years (see 2006 visit) was 'Rudd' class wagon DB 972432. 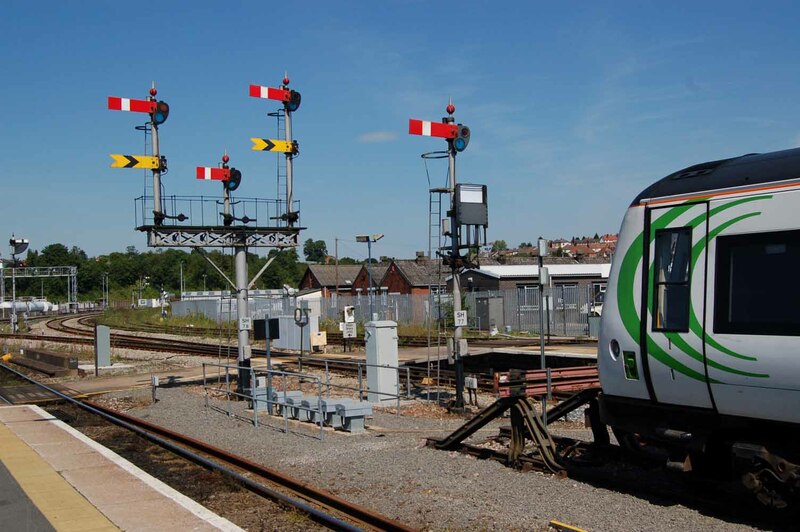 The signalling system at Shrub Hill was a joy indeed. 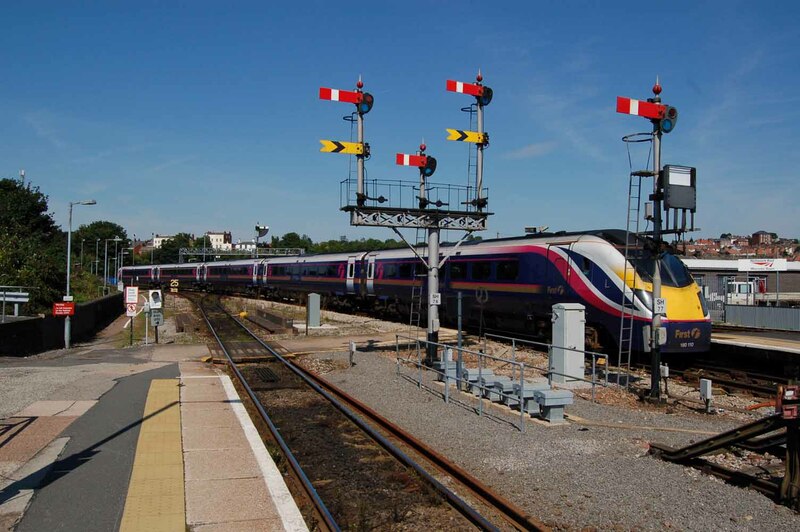 Like something out of a 1950s dream as the old fashioned semaphore signals abound. None more so than this splendid example that controls trains going towards Hereford, the depot and Birmingham. Here is the classic view at Worcester Shrub Hill with Alstom built 'Adelante' class 180 dmu No.180110 coming off the Hereford line with a service to London Paddington. 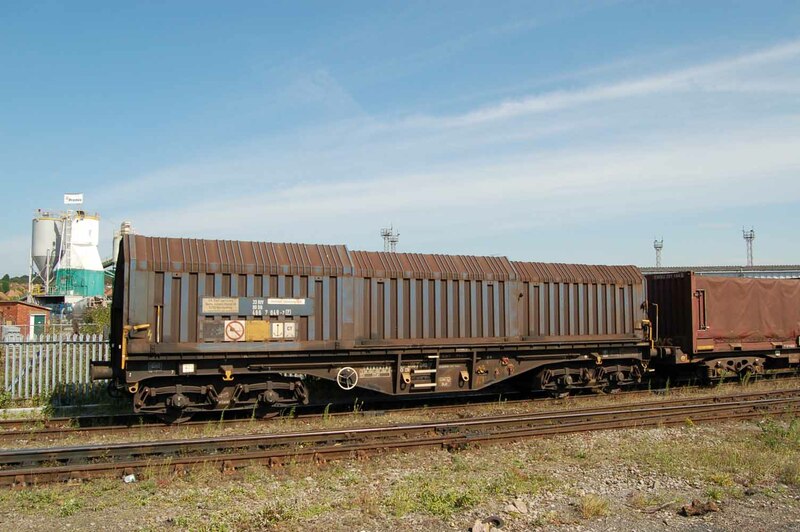 These fine units were amongst the last to be built at the former Metro-Cammell works in Birmingham. Here are two more units of the same type. In this case No.180111 bound for Great Malvern and No.180104 waiting to depart for London Paddington from Platform 2. Platform 2 was indeed a bleak and inhospitable place. Devoid of any passenger amenities whatsoever. Not even so much as an adequate train timetable let alone waiting areas or toilet facilities. On a brighter side it appeared that the original Vulcan Iron Works building to the right hand side in this photograph was about to be restored or else was coned off pending demolition. You have to feel sorry for the passengers waiting in splendid isolation at the hopelessly inadequate Platform 3 who cannot even see the toilets from where they have to stand (for there was but one seat). 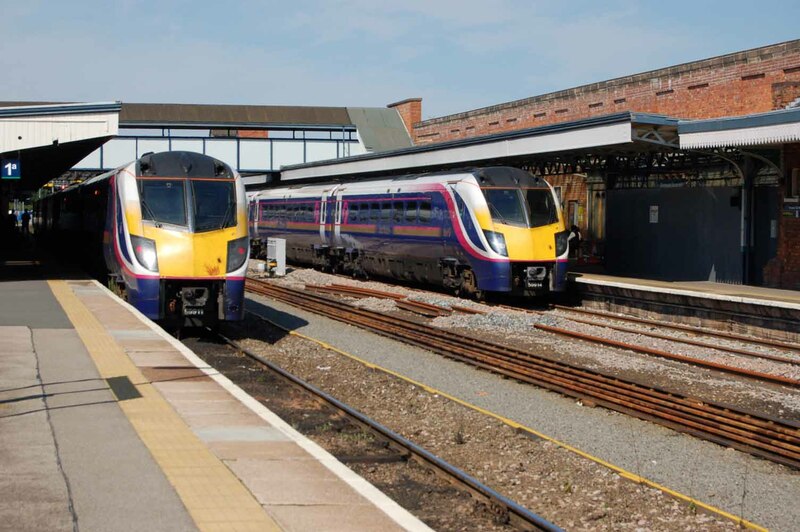 It's clear that what is needed is for the station area to be expanded into the empty sidings in order to provide a proper through Platform 3 that can accommodate full size trains and with space for the provision of passenger facilities. In another oddball Central Trains hybrid livery was class 170/3 'Porterbrook' unit No.170398, stabled in the centre road. 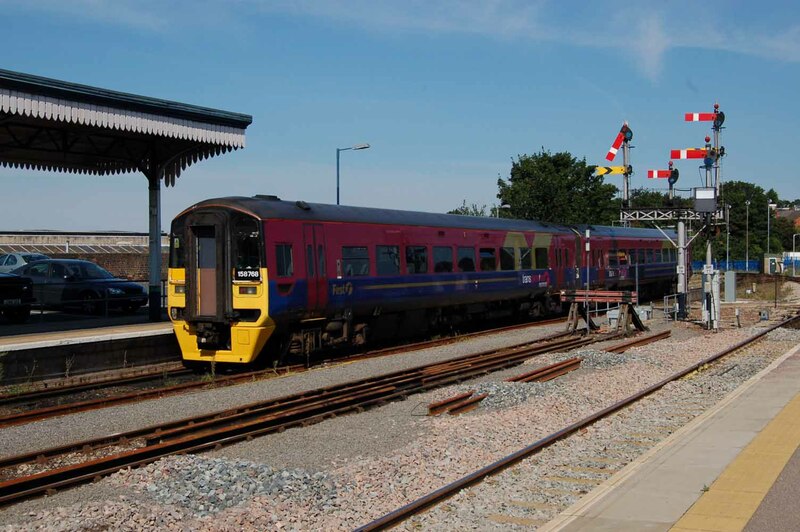 I was brought up to think that the Malvern Hills were the only major range of hills in the County but it appears that "First" thinks that Worcestershire is somewhere near the Pennines judging by the livery on this 'Trans Pennine' class 158 unit. This just goes to prove how stupid it was to ever allow the privatised railway companies to adopt their own identities. No.158768 is actually bound for Great Malvern. 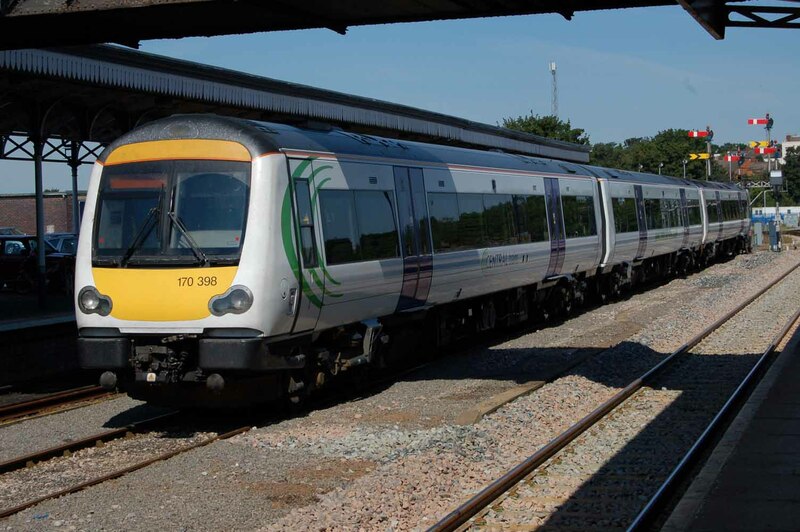 Whoever in the former BR made the decision to build the 2-car class 150/1 "Sprinter" dmu's without central corridor connections must cringe every time they see them running together as two non-corridor units. It reminds one of the notorious 'School train' to Ledbury that ran well into the 1960s with non-corridor carriages. No.150106 and No.150124 are passing the depot sidings. Although empty during the day these sidings come alive in the evening as large numbers of dmu's are serviced overnight. 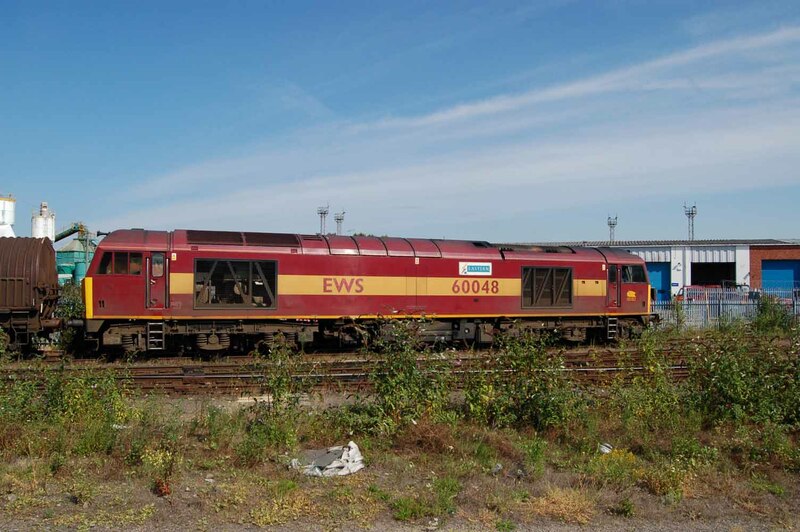 One of the highlights of the day was the passage of the afternoon train from Round Oak to Cardiff, here seen behind EWS red livery No.60048. As it used the sidings behind the station the best photography was to be had from the north end of Platform two. 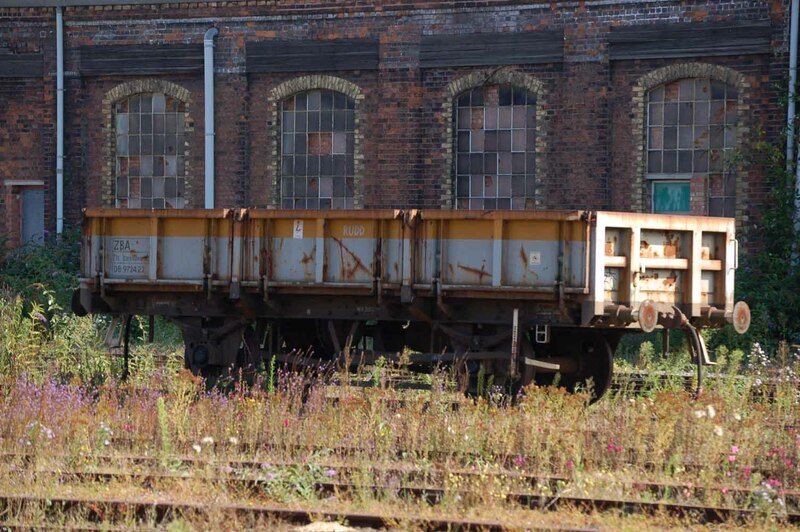 Included in the splendid array of assorted wagons was this German wagon No.DB 4 66 7 04-9. All photographs taken by Andrew Smith.